A Blessing For One Who Is Exhausted – Wonderful Poem for all of us …..
As a preschool teacher, I believe that introducing our children to poetry at a young age holds at least part of the answer.While technology has brought so much to our lives, and completely changed how we learn and interact, I am hard-pressed to believe that a computer will ever teach a child how to live a purposeful life of love and connection. To pass on these life lessons, I think we have to turn back to the stories and songs of our past, and continue to inspire a sense of wonder in children through our words. So why poetry in particular? As a former English major, I could give you an academic response, but I will tell you what I see as a preschool teacher. Poetry is basically like magic for kids. Before they even fully understand the meaning of the words they hear, I’ve seen how children respond to how words sounds and fit (or don’t). When two words rhyme, it has all the satisfaction of two puzzle pieces clicking together. Even without rhymes, underneath all the words in a well written piece of children’s literature, there is a flow, a tone and a timbre that kids pick up on, and these are some of the first things that help them to understand and organize their world. Today, as America struggles to catch up to the other nations of the world in math and science, the arts and music are always first up on the chopping block. Poetry and its companions are certainly “nice” and all, but really, are they going to help our children get jobs? While I see the sense in this perspective, and I am all for improved math and science, I don’t think these disciplines by themselves will help prepare kids for the lives we really hope they’ll lead: lives not just of material prosperity and security, but lives of depth, wisdom and sincerity. I should know–I used to work at Google, and I was miserable! I got to where everyone said I was supposed to be, and when I looked up from my computer and saw the prospects of a 9-5 (more like 7-6) pecking away at a keyboard, I leapt into the unknown and began to lead wilderness trips in Yosemite. This isn’t a reflection on Google of course – there are many friends of mine who are happy with their jobs in Silicon Valley – but more a realization on my part that I wasn’t where I was supposed to be or doing what I was supposed to do. I believe my next steps only came about because, somewhere along the line, the message of “follow your heart” made its way into my ear. It was embedded in the stories I heard as a kid: both those told by my parents and teachers, as well as those told by the books I read and cherished. Poetry, in particular, teaches children that there is no right answer, and that the process is as important as the end goal. Even more so than with prose, poetry is all about what isn’t said, and what is left for us each to fill in. These are the lessons I hope get passed on to the four year olds I teach: that there’s always more than one way to look at things, and that some questions are ones we need to keep on asking. The very sound of poetry teaches children to pause and to listen closely, to live right now. It tells us all to slow down, and look once more with awe at a butterfly opening its wings, or a leaf falling to the ground. To help introduce your children to poetry, here are some activities for various age groups that I would recommend trying at home. 1.Simply reading poetry to your kids is a perfect place to start. Poetry makes for wonderful bedtime reading, as the sound of children’s poetry is often predictable and soothing. Read children some of your favorite poetry (they’ll hear the tone and rhythm more than the words), or if you’re look for a place to start, check out some of the classics from William Blake or Christina Rossetti. It doesn’t always have to rhyme! 2.Make up songs or poems for different parts of the day, for example, singing “Breakfast time, breakfast time, a happy, sunny, Sunday rhyme,” changing the weather and day of the week accordingly. 1.It’s never too early to share Shel Silverstein and Dr. Seuss with your children. As kids start to get a stronger grasp on the meaning of the words they’re hearing, Silverstein and Seuss combine great poetry with silly sounds and ideas that all kids can relate to (not to mention some really important life lessons). 2.Play a simple rhyming game with your children. Pick up objects from around the house, or point to things in images, name them, and see if your children can come up with a rhyming word to complement that object (don’t point to an orange though–that’s just cruel). 3.Play “gobbledygook” (kind of like magna-poetry for kids): Cut up a bunch of words, and have them create an art project where they paste the words together on a piece of paper in whatever order they want. When they’re done, read the finished piece to them as if it’s a beautiful work of art, even if it’s just gibberish. As they get older, add in more rhyming words, and encourage them to start making sentences and rhymes. Using lined paper may help too. 1.Take the rhyming game to a new level: now instead of just rhyming words, work with your kids to come up with rhyming sentences. For example, you start by saying a sentence: “The lioness went to the store,” and your child then has to come up with a response that (more or less) makes sense and rhymes, such as “Her cubs broke down the door.” See how many rhymes you can come up with before moving on to the next word (“The owner let out a roar”), and before long, you’ll be writing poetic stories with your children! You can also adapt this to paper or a screen as your children become more adept with writing or typing. 2.Encourage your children to tell stories from their day with metaphors and similes. For example if they tell you their day was awesome, ask them, “as awesome as what?” providing leading questions like “as awesome as a sunset?” or “as awesome as a whale jumping out of the water?” This sort of metaphorical thinking really helps push kids to make new connections and develop their out of the box thinking (another valuable academic and life skill). 3.Model poetry writing for your children. It doesn’t have to be a work of incredible depth, but if you write and share your writing with them, they’ll be more likely to write and share with you. Any time you or your child share something one of you has written, take some time to explore and ask questions, such as “why did you choose this word?” or “what does this mean to you?” Remember, there’s no right answers. Growing up, my father would give me two digit numbers to multiply in my head on the way to school. One of my proudest moments as a kid was successfully multiplying 99 times 99 on my way back from the bus stop in first grade (9801 for anyone wondering). These skills later opened doors: they helped get me into Yale, they helped me land a job at Google, but these days, they mostly make it easier to calculate what to tip at restaurants. It’s been poetry I’ve turned to in times of need, and the magic of language that has helped me to navigate the trials and travails of life. Hand in hand with our focus on math and science, I think poetry and the arts are needed more than ever to help our children find meaning in a world that is constantly calling for their attention. David Griswold is a preschool teacher at the Gan Ilan Preschool in Lafayette and a children’s book author. He has just published his first children’s bedtime book, Mother, What is the Moon? which you can learn more about at whatisthemoon.com. My Abracadabra Co mment: (Abracadabra derived from Aramaic meaning “while I am speaking I create”) : I posted this about 2 years ago but I believe now it is even more appropriate the Moment to refresh this post Now ! for German Version scoll down please…..
Baba Marta is a mythical character from Bulgarian folklore. According to folk tradition the name is associated with March. Except March, January and February also have a special place in Bulgarian mythological ideas. January and February are presented as brothers with spicy character – Large beetle Small beetle January and February . Baba Marta is considered their sister ‘s mood – sometimes smiling and benevolent , sometimes unpredictable evil . Nature of Baba Marta is consistent with the changing weather in March. Oldest are the sources describing how the Bulgarians were decorated with red and white threads of their inns for health, strength and longevity. Most likely, the holiday is inherently Bulgarian originating from the years 580 – 630th AD. Asia ( the continent which initially Bulgarians live ) tradition is transferred to Europe with the migration of a large group of Bulgarians led by Khan Asparuh. The tradition is observed today and in the territories that were Bulgarian – part of Romania, Macedonia, part of Greece, Serbia, and also in some of today’s Russia . Each year, before the beginning of March, Bulgarians give martenitsi made ​​of red and white threads , traditionally of wool . This makes for health and happiness. 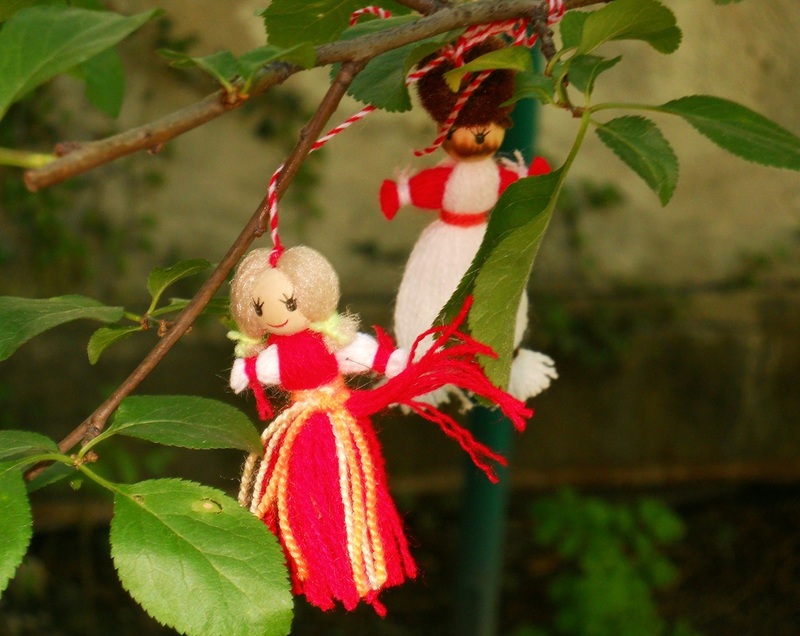 On March 1 Bulgarians put martenitsi clothes or wrists and wish health and happiness with the words “Happy Baba Marta .” The holiday symbolizes the end of winter and the coming of spring. All the people of the world are split up into groups – large groups. Let’s say about thirteen. Now, most of the groups of people are very poor. Even the people who think they have it pretty good, they are also very poor. The majority of these groups are kind of like slaves, working for their pittance, taking what they can get with what little they have. Some of those groups have a lot of “things”, but slave away to afford those things. They’re really not much better off than the really poor. Just a few, let’s say three, of these groups really have it good. In fact, they have so much wealth that they are not even sure what to do with it all – but they manage. Great Videos for us to watch ! Global Meditation to Trigger a Revolution of Light & a New Renaissance! It’s taken me a long time to prepare this article, but as I listened to the video, Shocking Documentary about mind control, and as I considered as well the Exopolitics article/video about the 13 steps towards a new way of doing the people’s business on this planet, I knew I had to get this out to everyone. As you read, I hope you will ask yourselves if what we from the West did to the Native Americans, and, indeed, the indigenous people all over the planet was any different than what is happening to all of us right now at this very moment..
Often, I have pushed the importance of Kent’s work, Neither Wolf Nor Dog, and The Wisdom of Native Americans, edited by Kent. Reading this latter book is to me what church is all about! In this book from which I quote here, Kent has an uncanny ability to interpret for us all what life in these residential schools must have been like, from the children and adults and their families who experienced them to the white people who worked there, to how the surrounding community dealt with them being there. I offer this excerpt to you all, and with the other two articles/videos I mention above, I want to ask, when you take them all together, if you all can see what the future holds for our species, as we begin to leave this terrible nightmare behind? It didn’t happen overnight, and I don’t think it will go away quickly either. I hope you will be able to see the depth of healing that is necessary. I believe we are going to have to earn the earthly heaven we are all anticipating, and it’s going to be a lot of work, work that I hope will be a joyous enterprise for all of us. Kent tells the story. Grover is his Native American friend. We drove north from town along a dark highway. The twilight glow had faded and the stars had begun to come out. The ghost of a moon was just beginning to show itself over the bald Dakota hills. My curiosity was great, but I knew better than to question Grover further. I had learned long ago not to push him on issues of importance, and whatever was on his mind seemed to be such an issue. This snippet from an Interview of Ester Hicks NAILS it so perfectly!! Just listen to what she says….just listen. Many people don’t have the time or attention span to watch the 3hr video this came from. I found this to be profound, so I posted it. 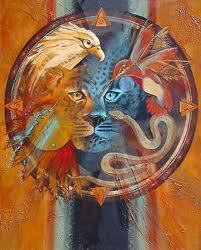 “Seeking Verity” by Tracy Cochran. you are saying / thinking / feeling. My notes from the above Parabola article follow. Give up and you will succeed. Bow and you will stand tall. Be empty and you will be filled. Let go of the old and let in the new. Have little and there [is] room to receive more. world will have come to an end. Simon Verity is a stone carver who has worked on many carvings around the world, including St. John the Divine cathedral in New York–where the heart of this story begins. In the same way that meditators use the breath as an anchor of attention, he [Simon Verity] drew his attention to two square inches of limestone. “There’s something in the repetitive action of the work, “ he said. “I’m hitting that stone once every second for two hours, and then I stop work for twenty minutes, and then I begin again, and for eight or ten hours a day, that’s what I do. and this is the truth I was searching for. This truth can be found only in the moment. letting go of who I think I am. Halloween the Great Feast of Fairies and their Tales has just passed by and in order to celebrate this very Feast in my very own way I was given a lovely tale from the Fairies about how the first connection had been established between the Angelic Realm and the Fairy Communities here on Earth. I wrote it down in my mother-tongue German but it took me some time to have it translated into English to make up a bilingual version for my blog. Thus this very story became a precious and huge gift to me and made this year’s Halloween a very special one for me. is some Fairy-Tale about that tiny Angel with his great burning wish in his Heart ….. listen to what has happened to him …..
Sandalphon – the Angel with clappering – tapping sandals …..
Allerheiligen das grosse Fest der Elfen und Geisterwesen aus dem Reich jenseits unserer erdenen Realität ist gerade vorüber und um diese Feier in der mir eigenen persönlichen Art und Weise zu feiern, habe ich hier ein Märchen aufgeschrieben, das mir von diesen Elfen- und Geisterwesen als Geschenk zu dieser ihrer grossen Jahresfeier dargebracht wurde. Es handelt von der allerersten Verbindung des Engelreiches zu ihnen hier auf der Erde. Ich habe es in Deutsch niedergeschrieben und dann danach in eine englische Version übertragen, um die bilinguale Veröffentlichung auf meinem Blog zu vervollständigen. Elfen haben ihre eigene Art genau wie die Engel und als dieses Märchen hier angekommen war, war bereits der nächstfolgende Tag auf Allerheiligen angebrochen, der allen Seelen gewidmet ist. Jetzt wurden mir noch zwei weitere Dinge in die Hand gespielt von ihnen und zwar sind dies zwei aussergewöhnliche Videos, die genau zu diesem Märchen passen. Sie hinzuzufügen war für mich unabdingbar, da sie diese kleine Geschichte herrlich vervollständigen. In Dankbarkeit dem Reich der Engel und der Elfenwesen wie des Zwergenreiches gegenüber habe ich diese herrlichen Geschenke gern angenommen und hier mitaufgestellt. Dies alles hat das Allerheiligen-Fest für mich dieses Jahr etwas ganz Besonderes werden lassen und ich hoffe, dass alle ihr hier beim Lesen und Betrachten dieser Videos sich von den hohen sublimen Schwingungen gleichfalls einfangen lassen und viel für ihre Seelen und inneren Herzen mit in ihr tägliches Leben mitnehmen werden. Wie schon so oft und immer meine mitfühlende Liebe gilt euch allen hier. all the times of recent pains …..
so much – so golden – will be our lives !